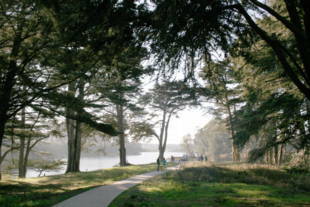 Lake Merced is a very popular spot for runners, walkers, and cyclists! This lovely lake has multiple entrances to start your adventure. There are many benches and picnic tables located throughout the course of the lake (the Lake Merced and Brotherhood Way entrances have picnic tables if you cross the small foot bridge.) Perfect place to walk your dog or go fishing! Great spot for bird watching too! Be sure to keep a look out for hawks, grebes, Loons, egrets, cormorants, and smaller birds. NOTE: If you have kids, be careful about the traffic on Lake Merced. 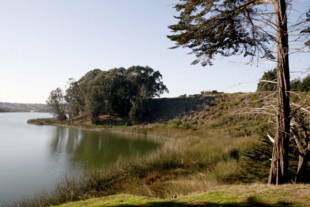 Lake Merced is managed by the San Francisco Recreation and Parks Department. 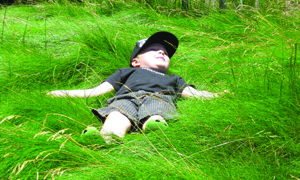 The land itself is owned by the San Francisco Public Utilities Commission. Muni access: 18-46th Avenue -- Lake Merced Blvd. at Brotherhood Way, at Higuera Ave, or at Middlefield Dr. On the west side of the lake, bus stops are along Skyline Blvd. and John Muir Drive. 29-Sunset -- Sunset Blvd. at Lake Merced Blvd. Additional Information on Entrances and Parking: -Lake Merced and Sunset Blvd: There is a parking lot and right at the intersection of Lake Merced Blvd and Sunset Blvd. There you can take the paths and explore. -Lake Merced and Brotherhood Way: You can also park of the road at Lake Merced and Brotherhood Way and start there. -Skyline Blvd and Harding Rd From Skyline Blvd, you can turn onto Harding Rd and park there. ***This entrance has restrooms, water, fishing, bar and grill, phone, snack store, picnic tables with bbq pits, bar and grill, and boat house. -Lake Merced and South State Dr You can park on Lake Merced or on North State Drive at San Francisco State University. 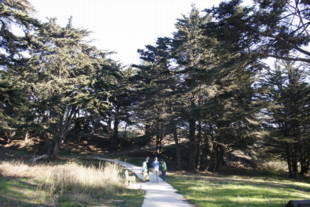 From there, walk across Lake Merced Blvd and start your exploration of the area at the path there. The paths go down into the forest and ends at a nice bench where you can enjoy a beautiful spot of the Lake or explore further down of the path. Boats: The General Public is allowed to launch personal boats that are not gas motorized in the North Lake Merced only. Fishing: Fishing is allowed 1 hour before sunrise to 1 hour after sunset from any of the docks that are located around the perimeter of the lake. Shore fishing is not allowed. A California State Fishing License is required for persons 16 years and older. Fishing is permitted on both the North South Lakes. Please contact James Wheeler, San Francisco Recreation and Park, Manager of Leisure Services and Aquatics, at (415) 831-6833 or at james.wheeler@sfgov.org for current information regarding Lake Merced. History: Lake Merced is a dual lake system so large that it dwarfs all other lakes in and around San Francisco. It is surrounded by a narrow margin of park lands creating an area of 740 acres which is designated as parkland, most of that area being the surface of the lakes themselves. 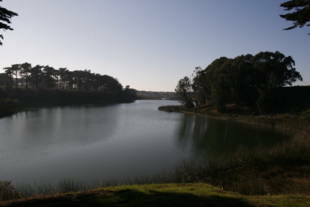 Although it may appear artificial in origin, Lake Merced is a natural spring fed freshwater lake system. Local ground water plays a large part in keeping the lakes fed. The area was acquired by Parks and Recreation for public use in 1950. It subsequently became very popular for fishing which has been amplified by a vigorous rainbow trout stocking program from Fish and Game over the years. The lake in its pristine state was beautiful, supporting cattails and reeds around the periphery, birds, trout, bass, carp, a vigorous hydrophilic ecosystem. It is utterly unique within the franciscan biological region and an important natural resource as well as an important recreational resource. The problem with Lake Merced since the 1980s has been the three massive golf courses which surround it and have been sucking it dry by diverting the ground water for their own irrigation needs. Harding Municipal Golf Course, Olympic Country Club, and San Francisco Golf Club surround and penetrate the lake lands like a glove around its throat. As a result, the lake began slowly 'dying' as water levels dropped and water quality fell. The low point was in 1994, literally, as the lake reached an all-time low of 14 feet in depth (the top off depth is 30 feet). The future is hopeful for Lake Merced, however, because the same organization (CalTrout) which 'saved' Mono Lake from Los Angeles is now involved with Lake Merced. The Mono Lake case set a new legal precedent for protecting the public trust. Progress has been made at Lake Merced thanks to Cal Trout. Draining of the water table has been reduced by 75% and storm water will now be partially diverted into the lakes. As of April 2004, water levels are back up to around 26 feet and rising. That and a renaissance of trout stocking has the lake headed back to its former glory. For more on this, see http://www.caltroutday.org/. A few notes on the other qualities of Lake Merced. The premier highlight is a continuous paved path which runs uninterrupted around both lakes. This 4.4 mile circuit is superb for skating and biking. It has easy grades, a smooth surface and not a single curbed interruption which is phenomenal. The nicest part of the lake is perhaps the southern lagoon of South Lake which is physically separated from the main lake with an earthen divide and walking bridge. This is one of the few shore access opportunities with a beach facing the main lake. It should be noted that beaches are rare around Lake Merced. It is feasible to launch a portable boat from this beach from parking off John Muir Drive. The majority of the shoreline around Lake Merced is densely packed with tule reeds and offers no shore access but is pleasant from a boat. There are also beaches at the Harding Park entrance and thousands of tiny minnows can be seen swimming around in the shallows. Harding Park off Skyline Blvd is the main entrance to the park and all the main facilities are here. There is the boat house, boat docks, fishing piers, a bar and grill, and numerous picnic tables with grills. This is a popular spot for family barbeque picnics. Crowds come to picnic here on nice weekends. It is recommended for bbq picnics as a reasonably pretty setting with lots of weekend activity, certainly not for seclusion. Bird life around the lake is poor, as is water quality. A nice way to experience the lake from the shore is from a footbridge spanning the central 'pinch' between the east and west portions of North Lake. This bridge can be accessed from parking at the end of Sunset Blvd.